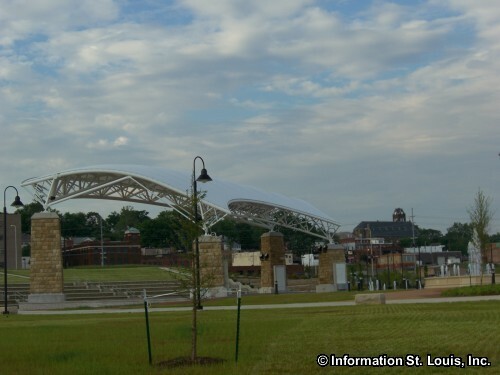 The Liberty Bank Alton Amphitheater, formerly known as the Alton Riverfront Amphitheater, is located in Riverfront Park in Alton, Illinois. 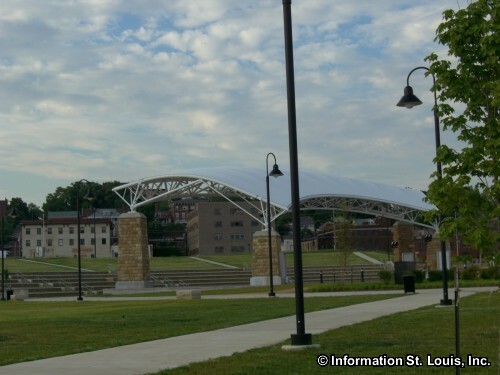 Its unique setting along the Mississippi River and with the beautiful Clark Bridge in the background, make it a fabulous location for a concert, a wedding, community events and for viewing the Alton fireworks on Independence Day! The venue which holds 4,100 visitors, is an outdoor, open air amphitheater and most events will be held in the warmer months of Spring, Summer and Fall. Some nationally know talent that have performed at the Liberty Bank Alton Amphitheater are Kenny Rogers, Smash Mouth, Sugar Ray and John Michael Montgomery.